I picked up two colors from ILNP new fall collection. Masquerade (H), and Champagne Blush. (I'll show Champagne Blush another day). I've wanted the original Masquerade for awhile, but I never got around to picking it up. 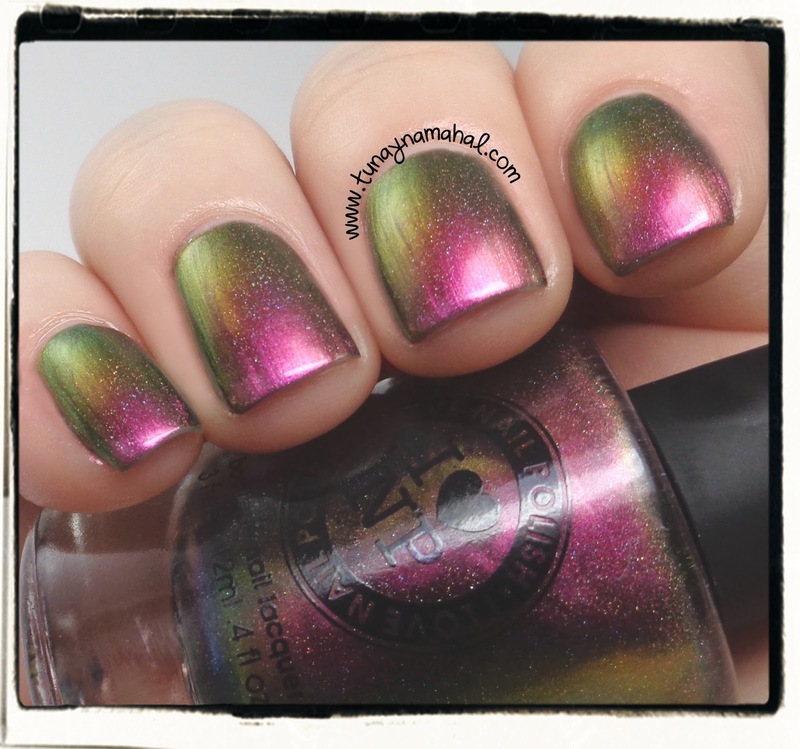 So I was really happy when ILNP released a holographic version with their fall collection. Masquerade (H) is a multi chrome. It changes from Green, Pink, Red, Copper... so many pretty colors! This is 2 coats, plus Seche Vite topcoat.